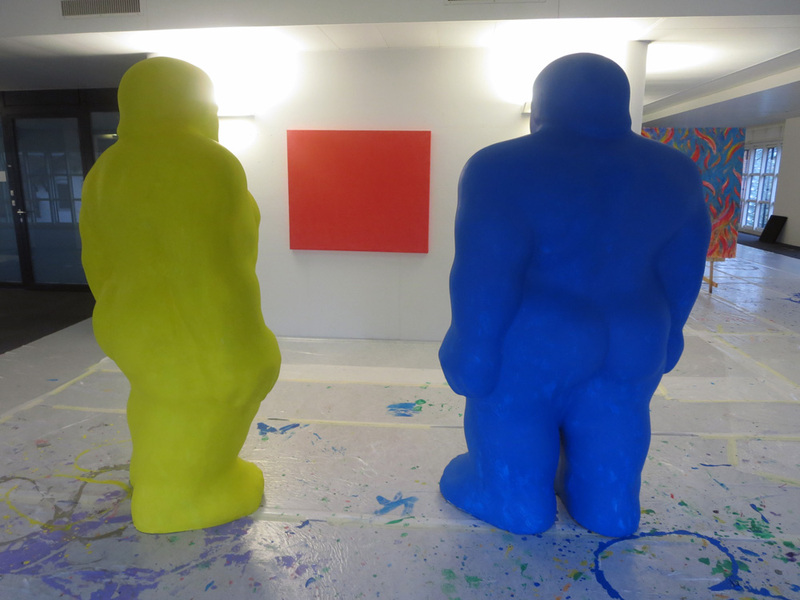 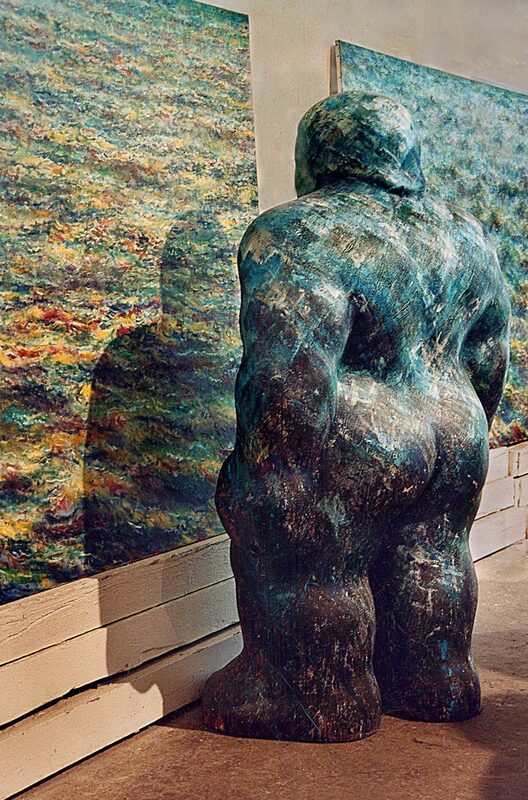 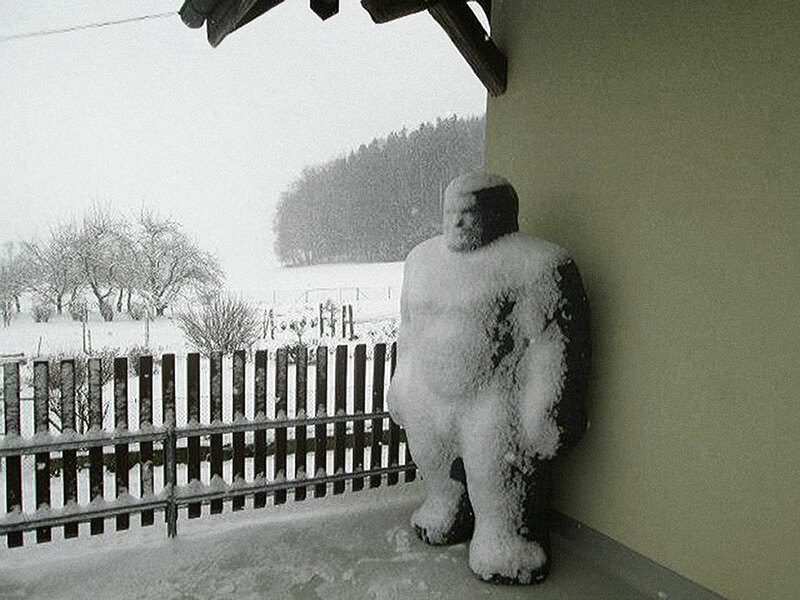 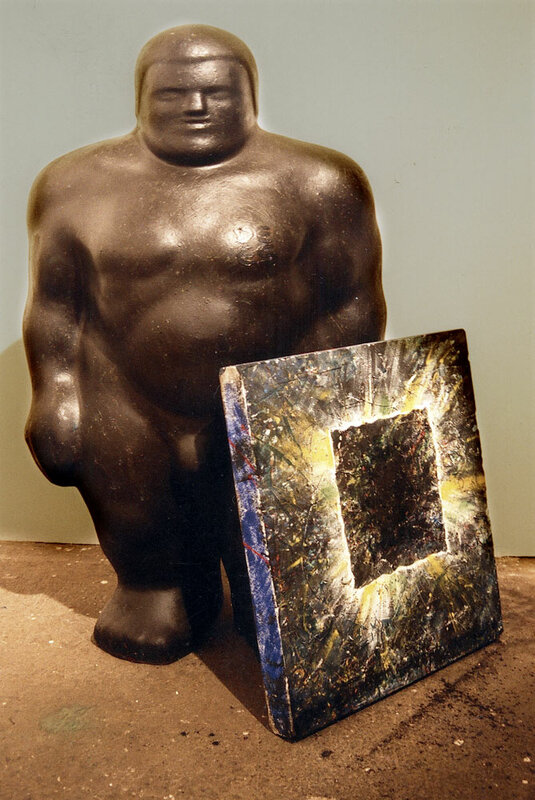 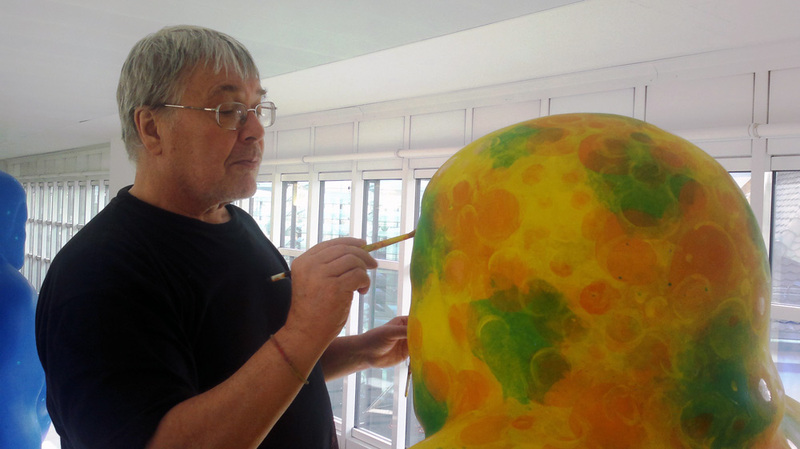 Since 1987, the STONEMAN from the series of my stonepaintings has become a paintable sculpture — a PLANETARIAN. 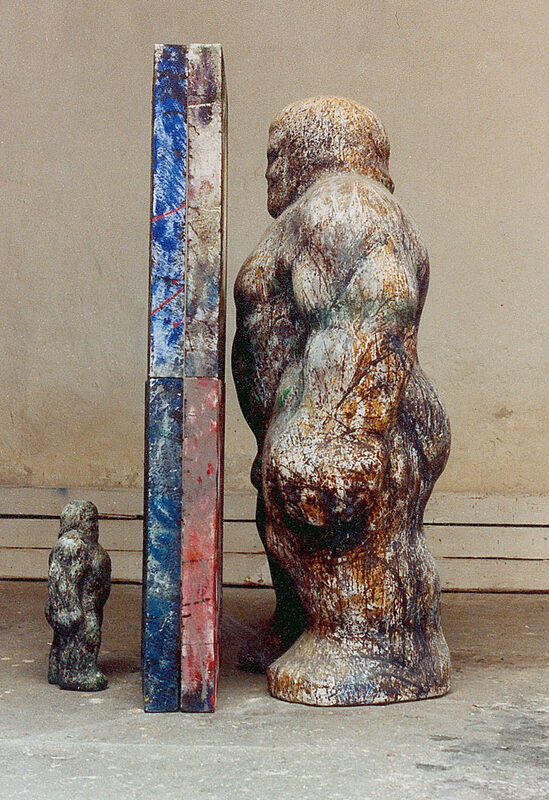 The original was made out of plaster. 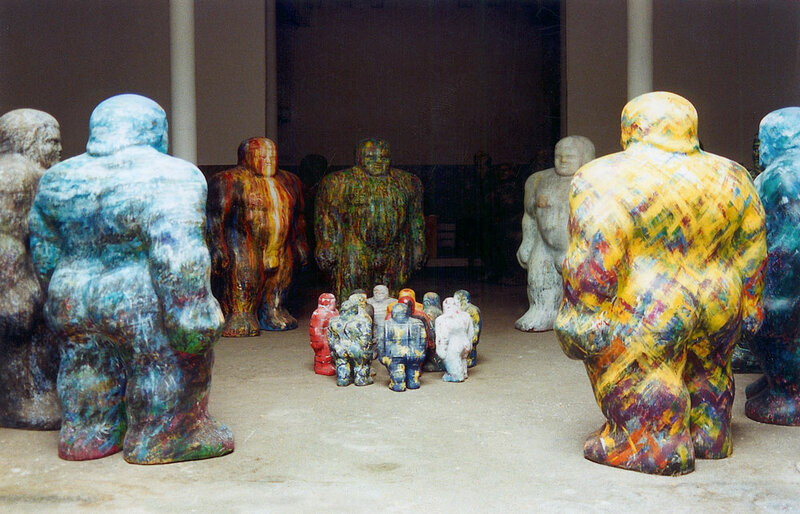 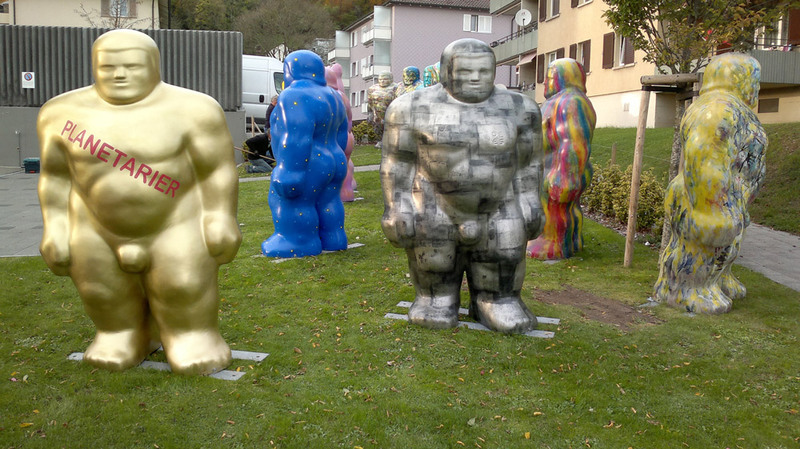 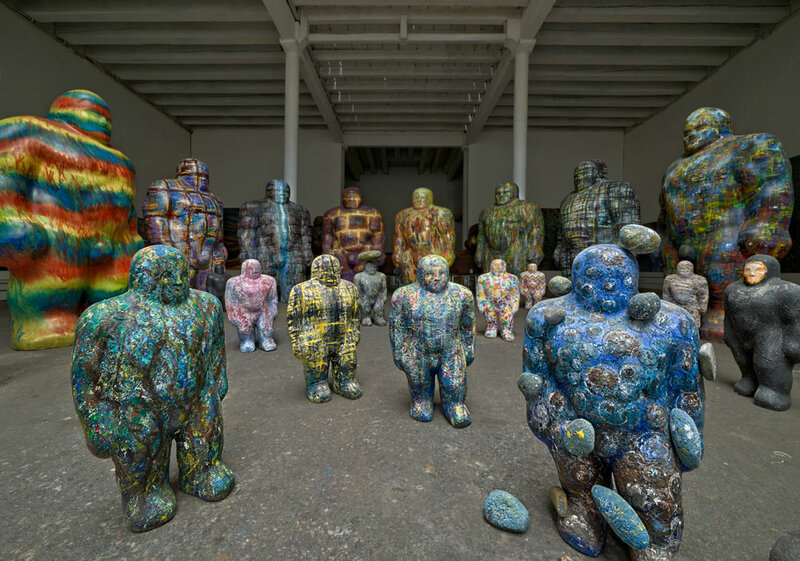 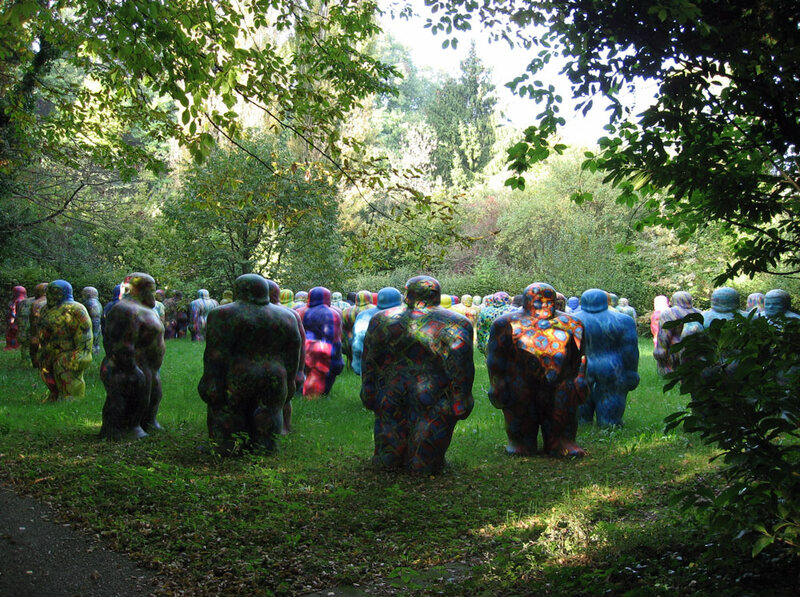 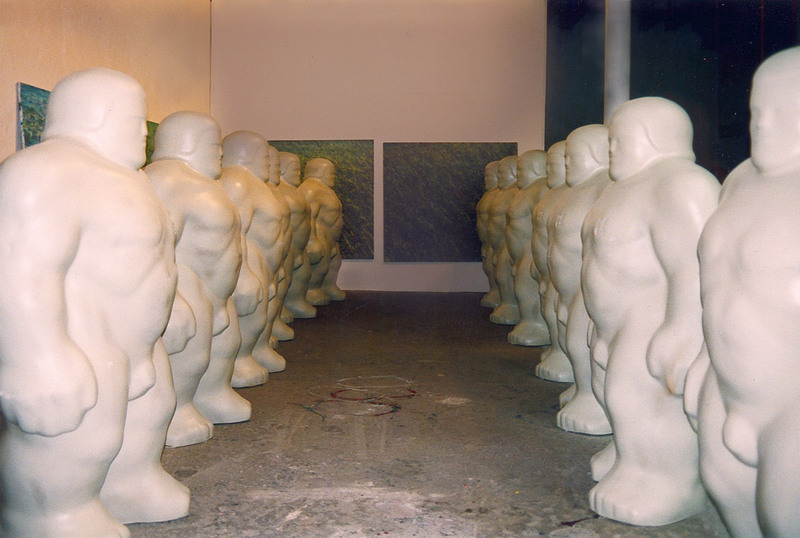 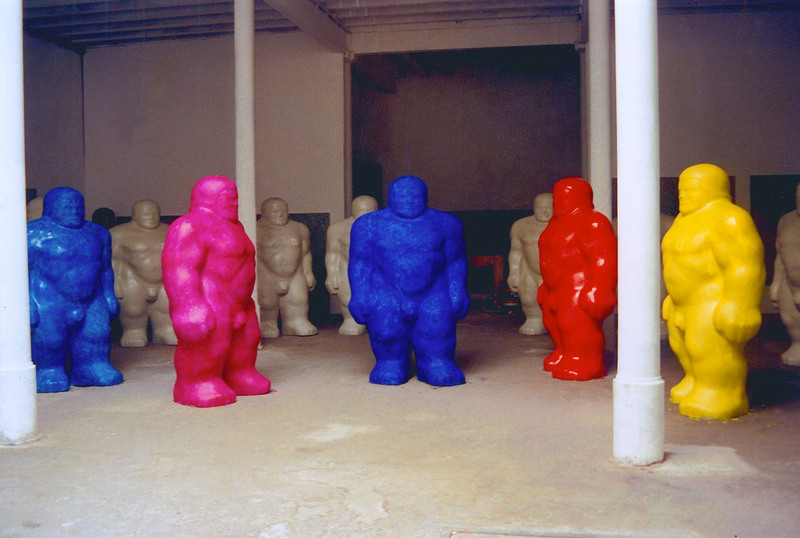 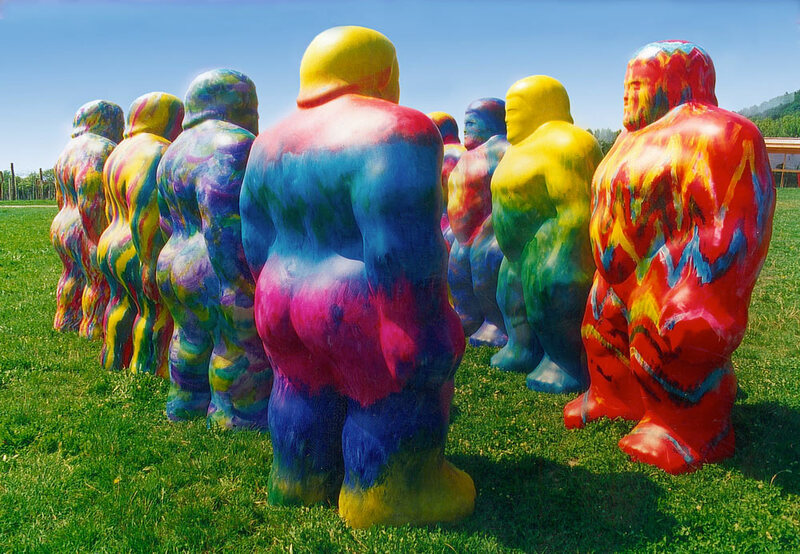 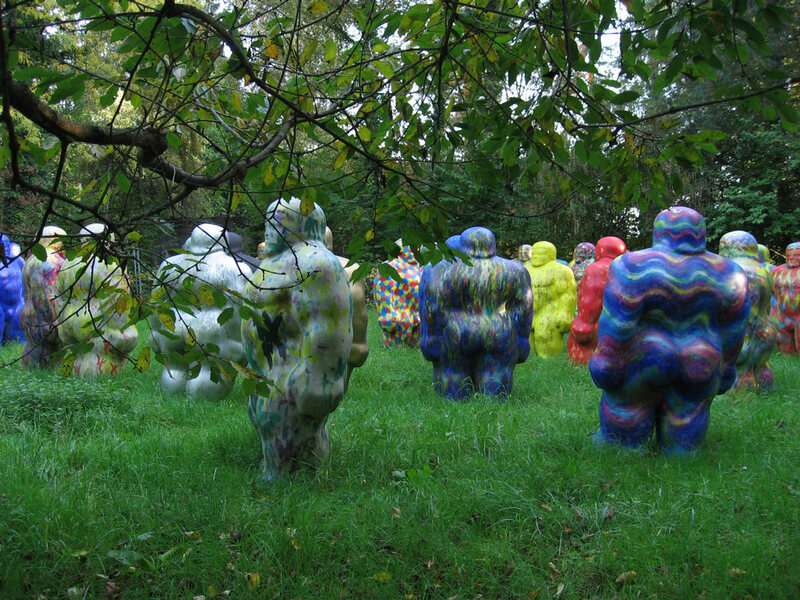 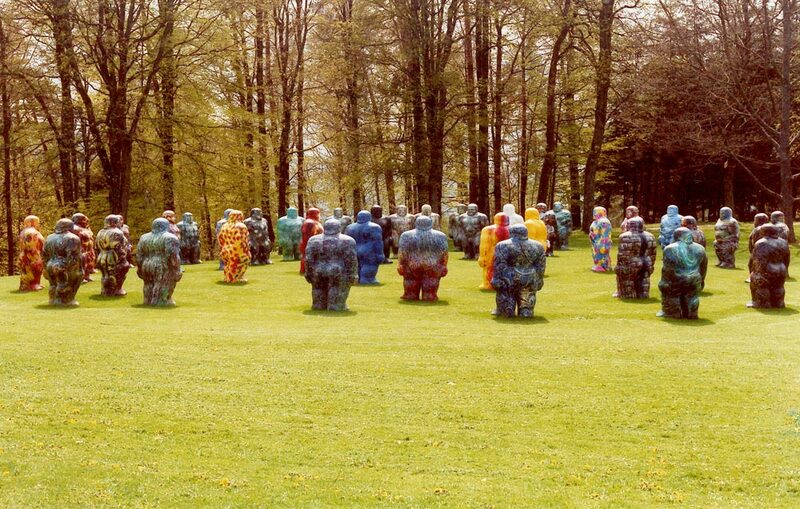 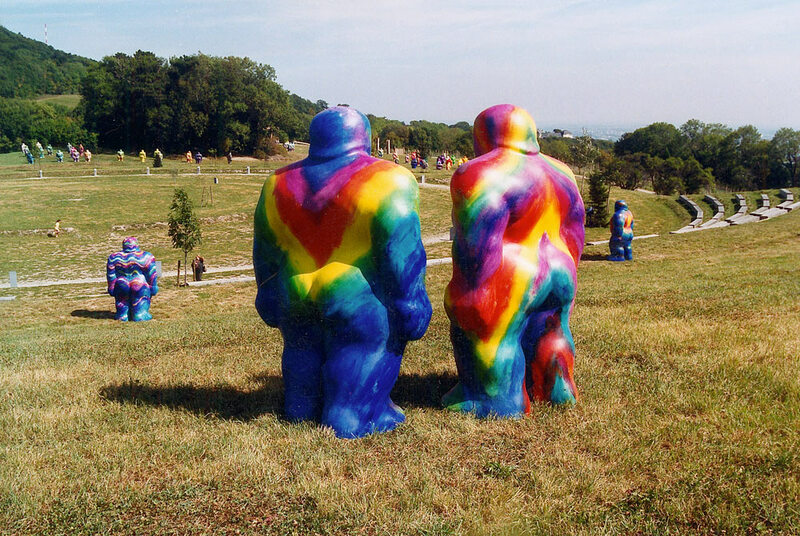 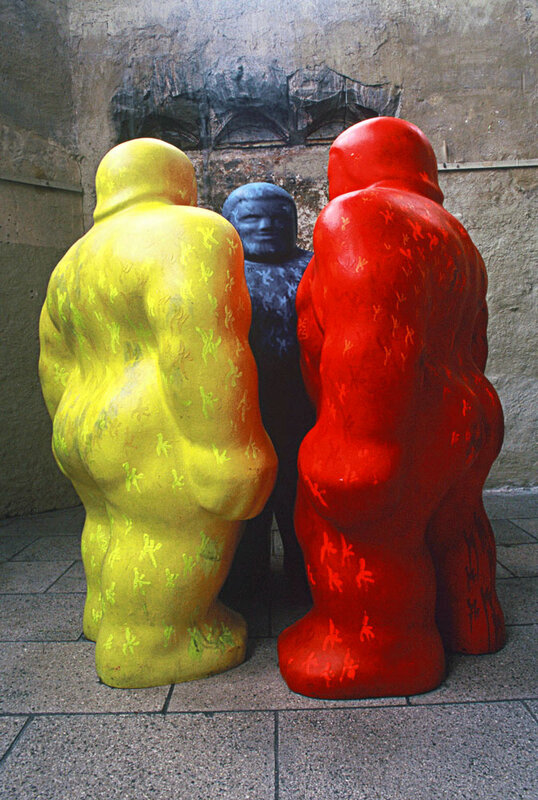 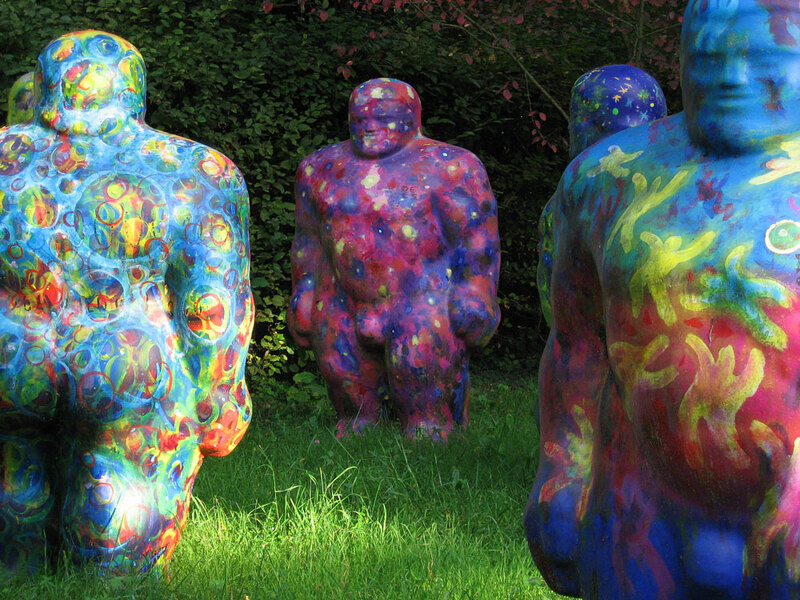 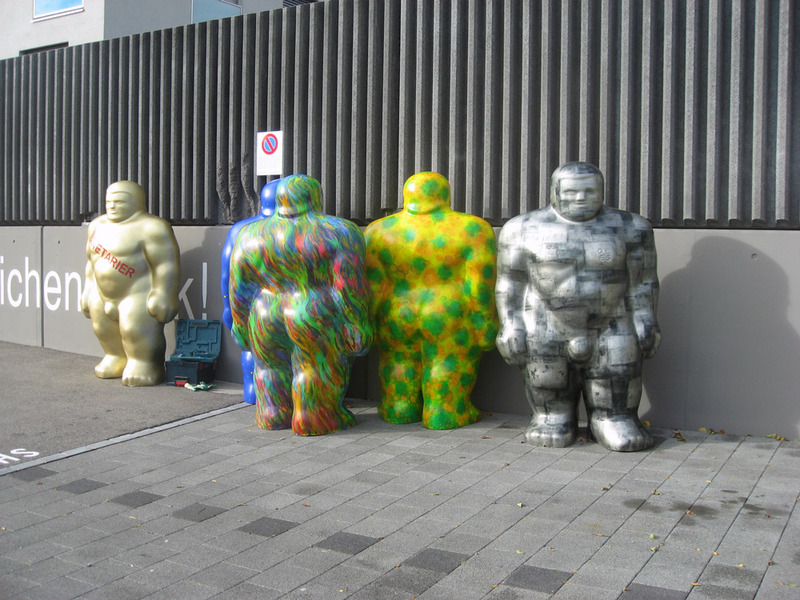 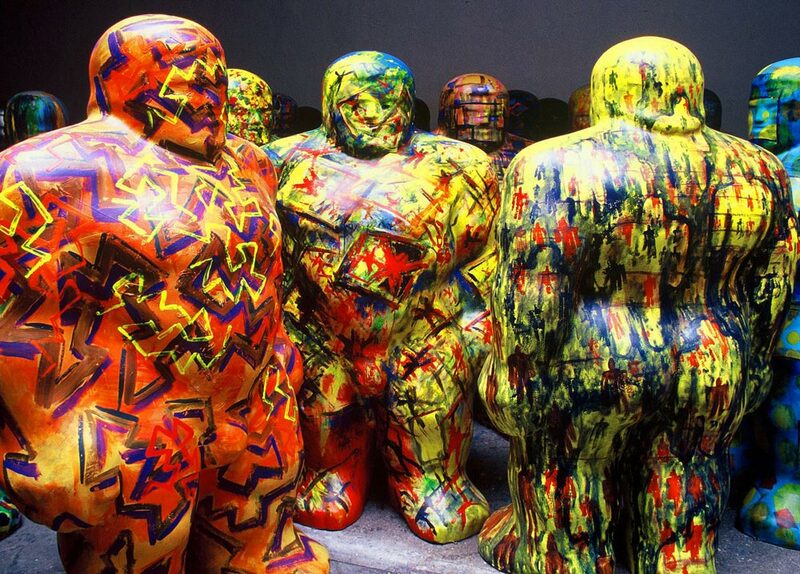 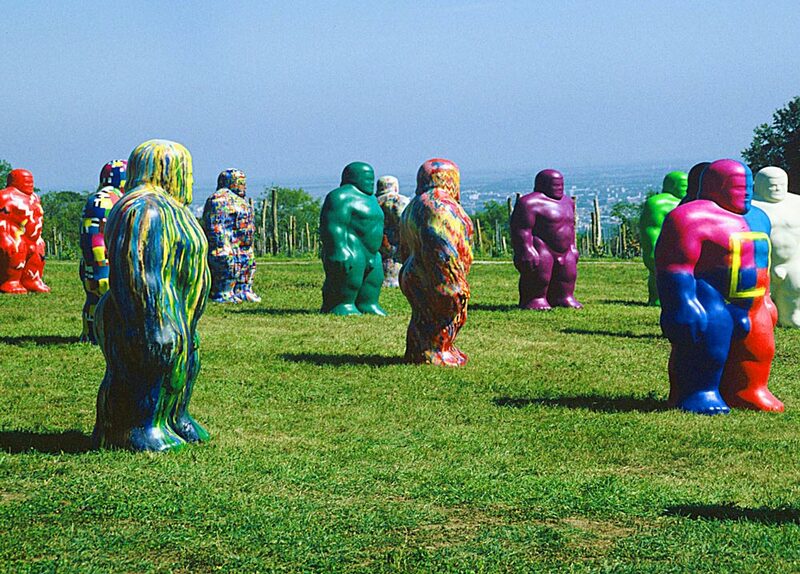 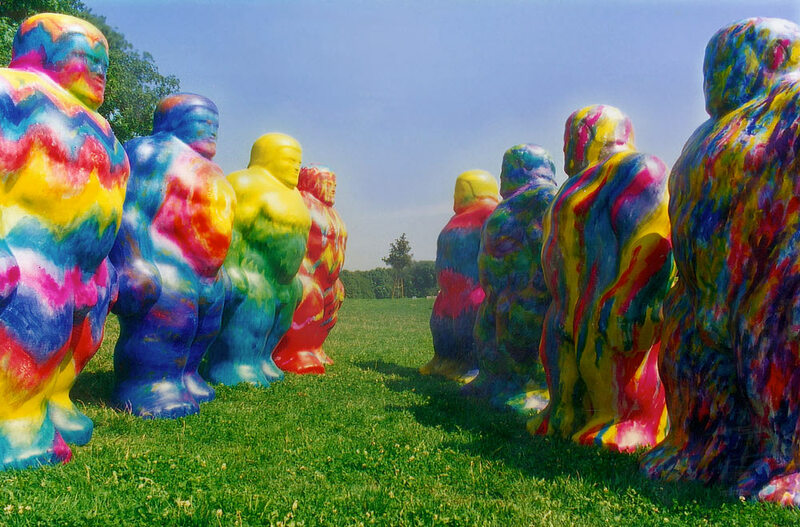 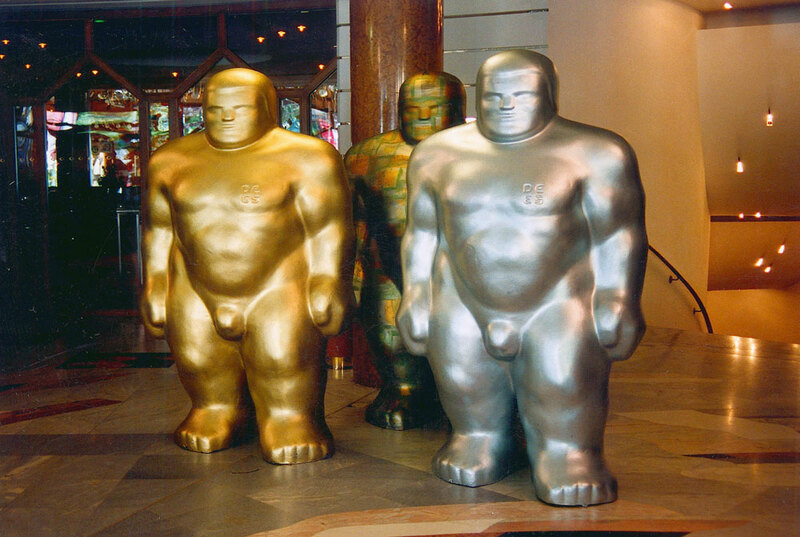 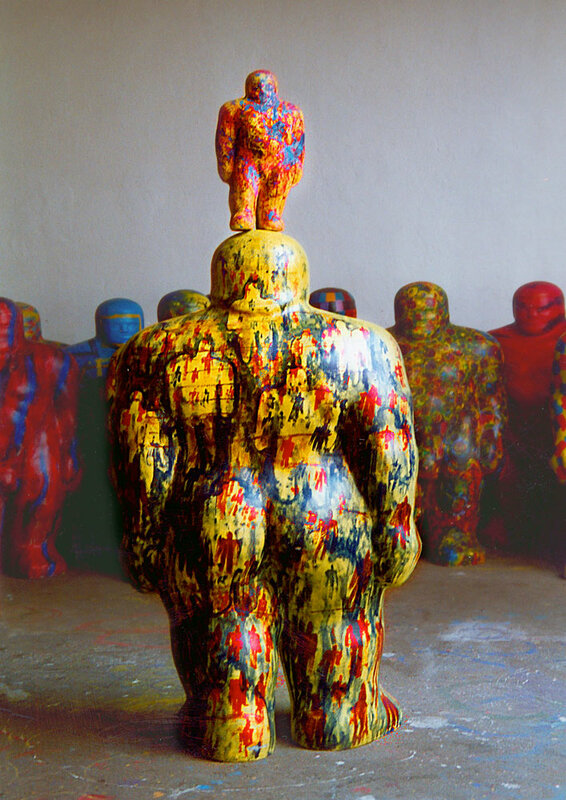 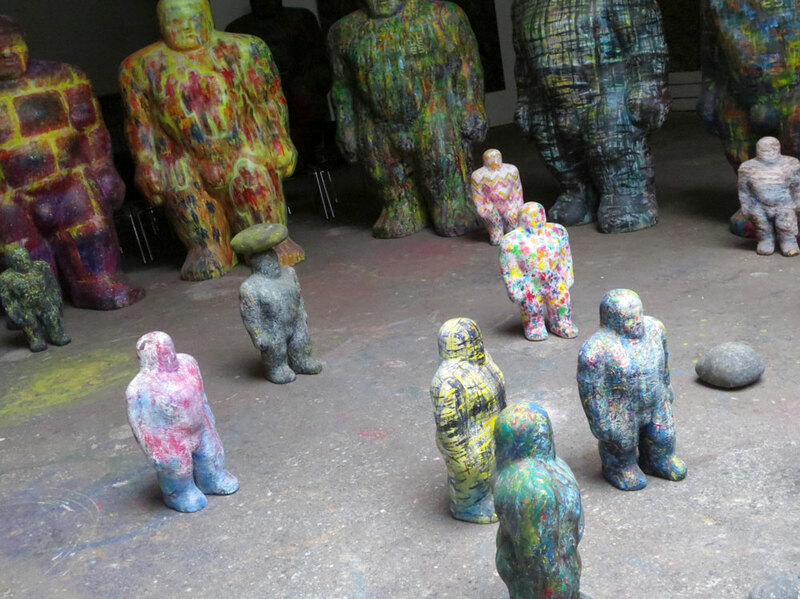 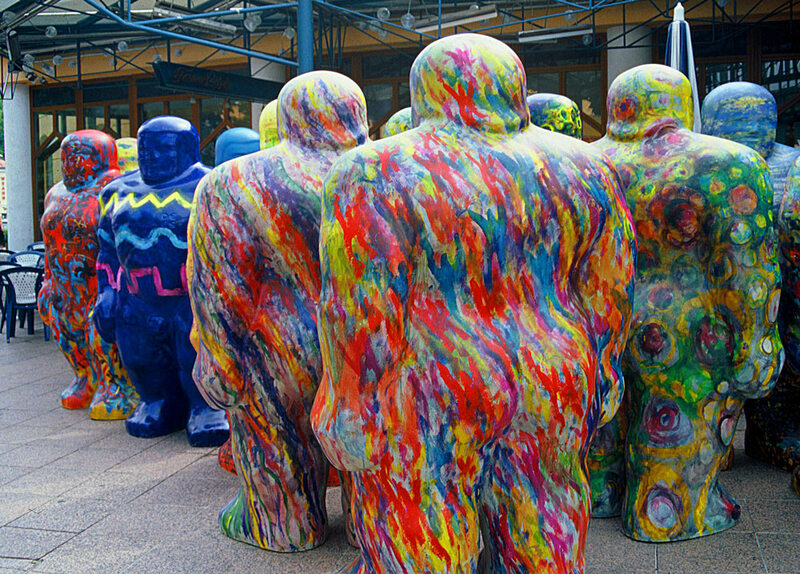 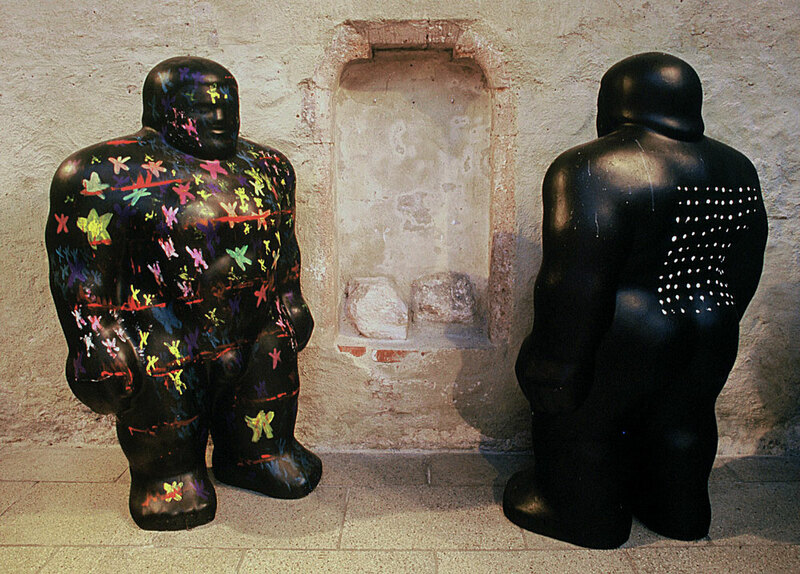 In 1991, for the 900th year birthday celebration of the city of Bern in Switzerland, 40 planetarians made out of polyester were exhibited on a meadow on the Gurten mountain. 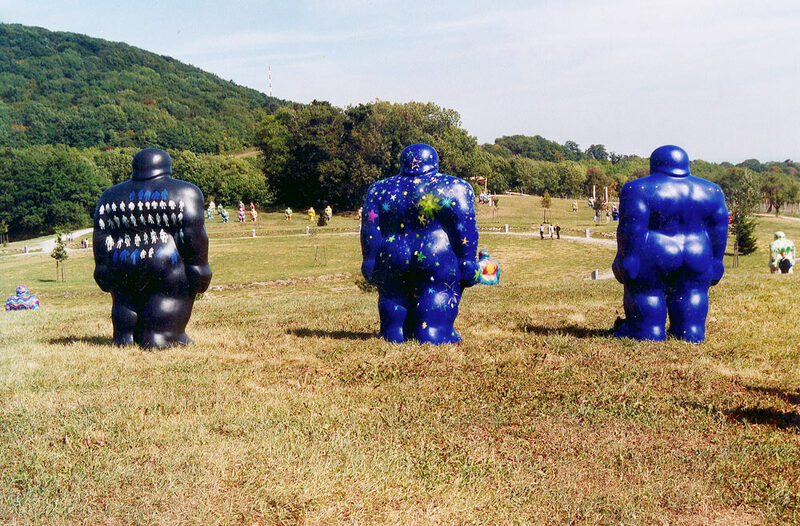 In order to transcend the monotony of only stone, each planetarian was given a unique skin, such that as a whole they symbolized ALL ARE THE SAME — ALL ARE DIFFERENT. 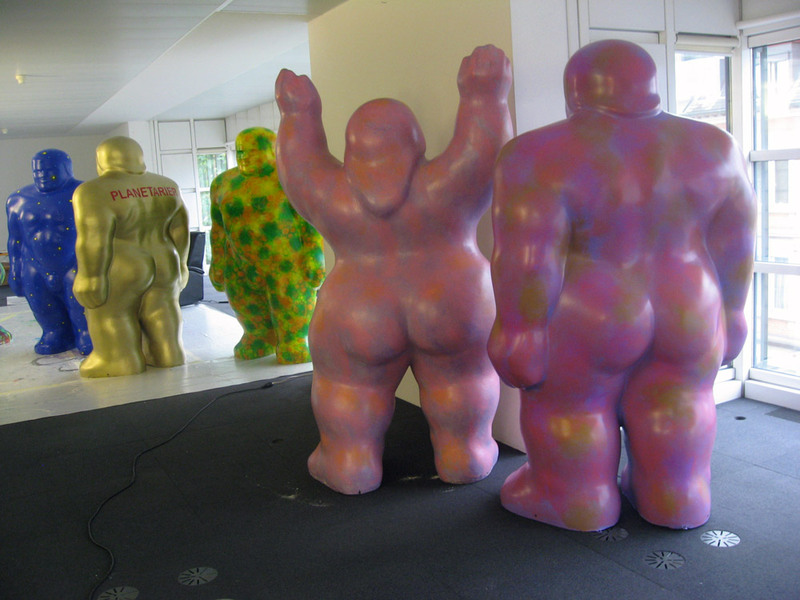 I used a small model of 40 Planetarians (EARTHLINGS) to work out a system of basic patterns for the design of the skins. 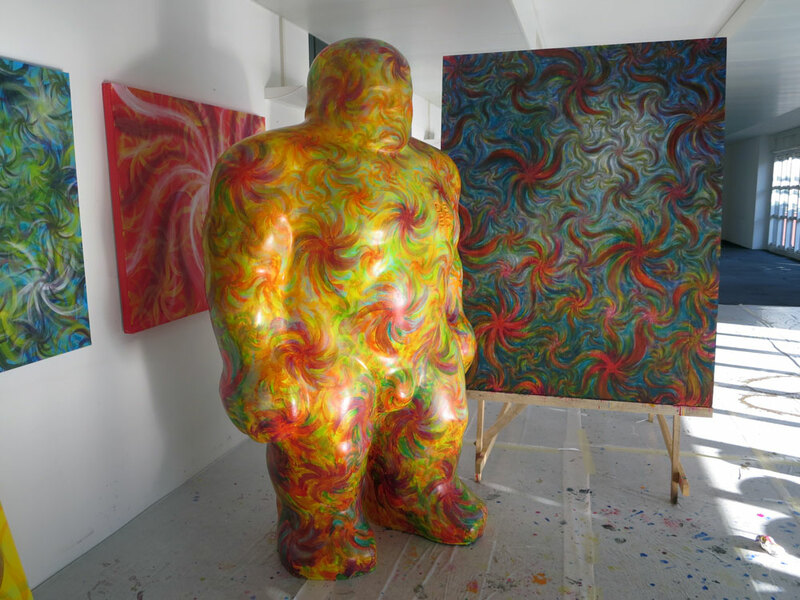 These basic patterns play an important role in the way I underpaint my oil-paintings. 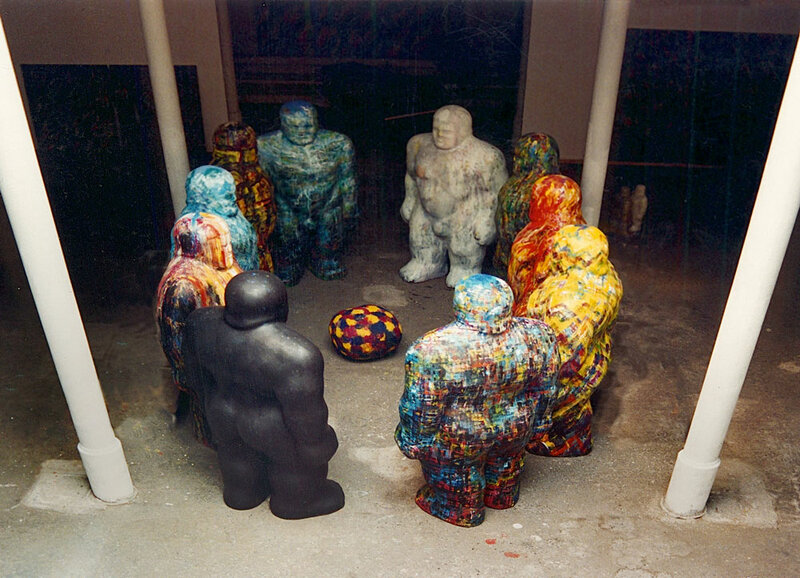 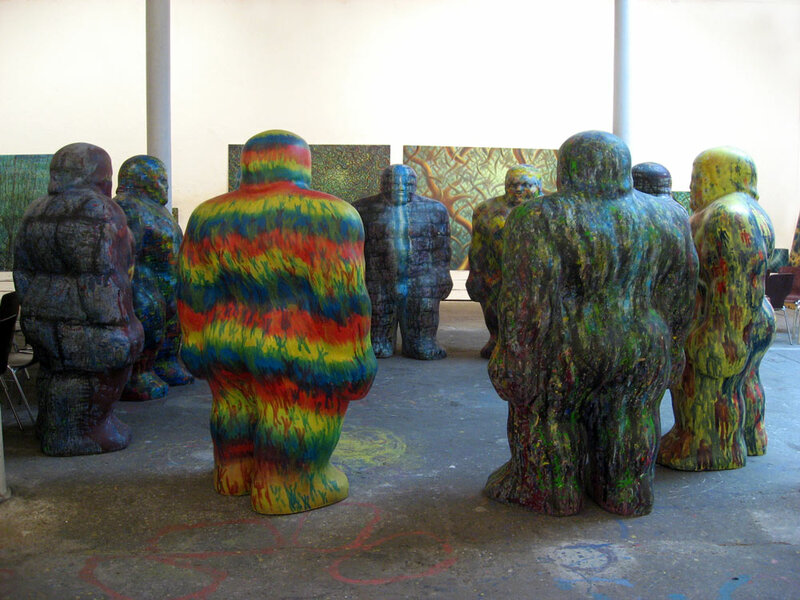 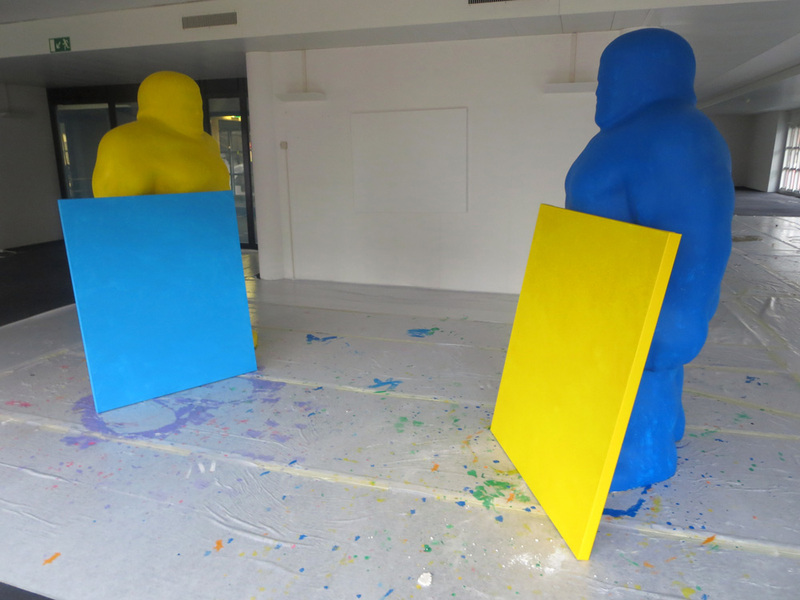 Since then, in my studio, installations of Planetarians, Earthlings and other related elements are spontaneously assembling themselves. 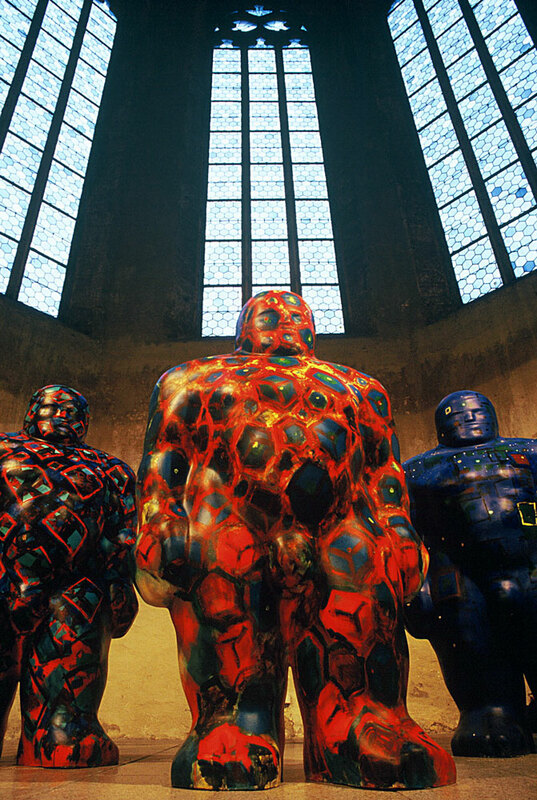 Planetarians radiate with inner power, reminding us of our true cosmic proportions. 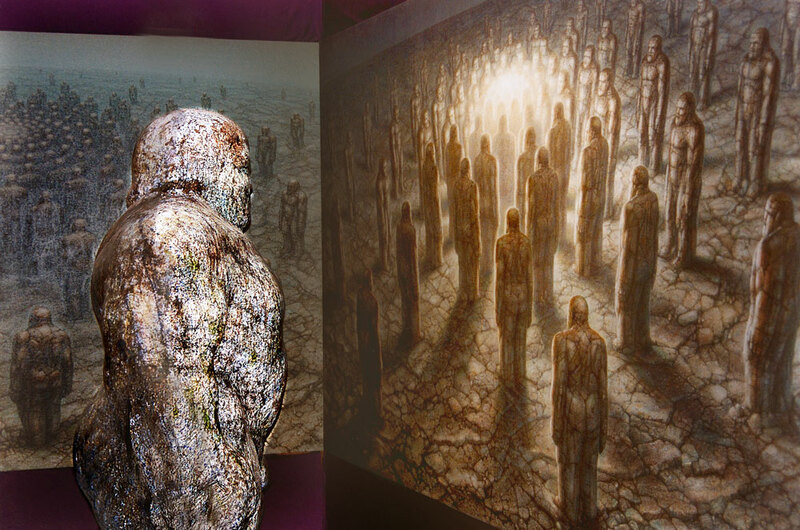 They are MESSENGERS OF PEACE from a dimension where only oneness reigns.